Johnny Cash - "When the Man Comes Around"
http://feettothefireradio.com -Opening page of this website. 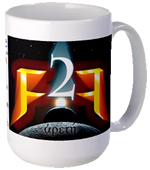 http://feettothefirenews.com -News feeds picke by me and included a search box to use Google privately. 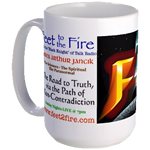 http://feettothefirechat.com -a direct URL to the Feet to the Fire Chat Room when on the air. http://feettothefirelive.com -Direct link to LIVE Listening page. http://feettothefiremobile.com -Direct link to the MOBILE listening page. Listen to LIVE show when on-air or the last archived show from your phone or tablet. Tonight: Yet another government insider has recently declared that a biological weapons attack is "imminent." Dr. Robert Kadlec has just added his name to a growing list of high level government employees who are engaged in predicting an event which they may be involved, in fact, in causing. Tune in tonight as we discuss the implications of Kadlec's prediction and what you can do to protect yourself. What does Planet X, Pole Shift, Kill Shot Solar Flare, Comet or Asteroid Hit, Godzilla (or any Daikaiju), Marvel Super Heroes, The Return of Jesus, Les Visible's "Mr. Apocalypse", Armageddon, Alien (invasion or intervention), The New Age/ Mayan Calendar, etc., all have in common? Do they have a common source (or inspiration)?